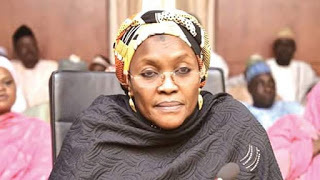 The Kaduna State Commissioner for Women Affairs and Social Development, Hajiya Hafsat Mohammed Bala revealed that child trafficking is so rampant that children are being sold and bought like groundnut in the state. Addressing newsmen on Tuesday in Kaduna, the commissioner said that the ministry has rescued about 37 girls from traffickers. “We are seriously battling with children being sold because people now buy and sell children like groundnut," she stated. "Sometime ago, a child was molested to death in the state. How many other children lose their lives to such molestation? Most times, these ugly acts are perpetrated by parents, relations, guardians and teachers among others. But we cannot fold our hands and watch Kaduna children being sold, hence the decision to launch the campaign to possibly end all forms of violence against children,” she said. Mohammed Bala said progress was being made with individuals and bodies rallying to protect children, and disclosed that a group of pharmacists, SEMA, NEMA, Police and Immigration had formed a network against child trafficking. “Want everyone to join hands with government and parents to ensure the safety of our children,” she added.